This preserve honors Helen M. Fields and George & Eva May Hibbler Sr. Farmed by the family since the 1920’s, the fields, woodlands, and streams maintain the rural character of the watershed. 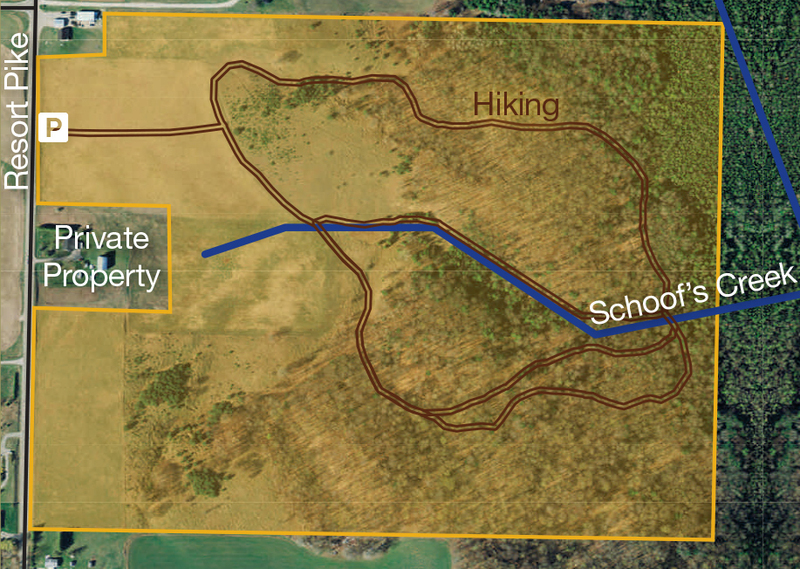 This preserve is close to the headwaters of Schoof’s Creek, an important Walloon Lake feeder stream. Parking area on Resort Pike Road, south of School Road. A mowed trail through the field leads into the preserve.